I just got my Really Right Stuff Ultralight L-plate after weeks of waiting and using a regular dovetail camera plate. It truly was sad times, and somewhat inconvenient being without such fine quality equipment. the reason that I did not have one yet was that the D850 had just come out, so development of this particular L-plate was still in the works. 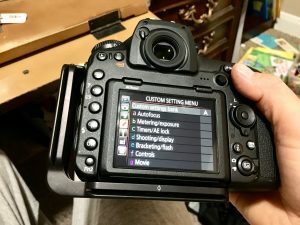 If you have an amateur or professional setup, use a tripod, and you ever shoot in portrait mode for any reason (panoramas or portrait oriented pictures), then you have got to get an L-plate. Ball heads are designed to hold a payload at the top of the head, not to the side. I personally have the BH-55 from Really Right Stuff. This makes it somewhat difficult to shoot portrait mode correctly, and at the maximum height available with your tripod. It is really quite a simple piece of equipment that slides right into any dovetail/Arca-Swiss style clamp. This one is half the weight of the modular L-plate system, but the modular system comes with a spot for an allen wrench, and this one does not. 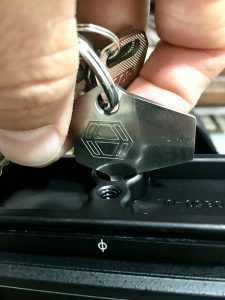 For this reason, it is super handy to have yourself a Thinguma K-532 camera plate multi-tool on your keyring. This little gadget will make light work of any 4mm or 5/32″ hex socket screw like those found on RRS plates. It also does a great job with slotted screws. 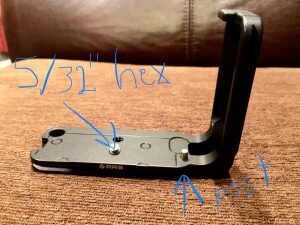 Even those that have the flip up tab to tighten the screws, can’t be tightened as much that way as they can with this tool. This particular L-plate is well designed and adds minimal weight. 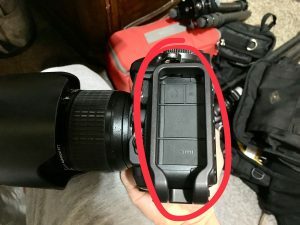 It has a small metal post that enters a hole on the bottom of the Nikon D850 and secures it from any possible movement. The screw that tightens the plate is a 5/32″ hex socket screw as commonly used by Really Right Stuff. 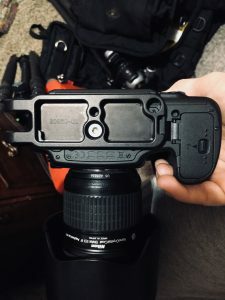 The components access part of this plate allows for plenty of room to open the rubber tabs and connect whatever piece of equipment you would like to connect. All in all a really solid L-plate from Really Right Stuff. I would recommend getting an L-plate from them for any camera you might have that you use on a tripod.